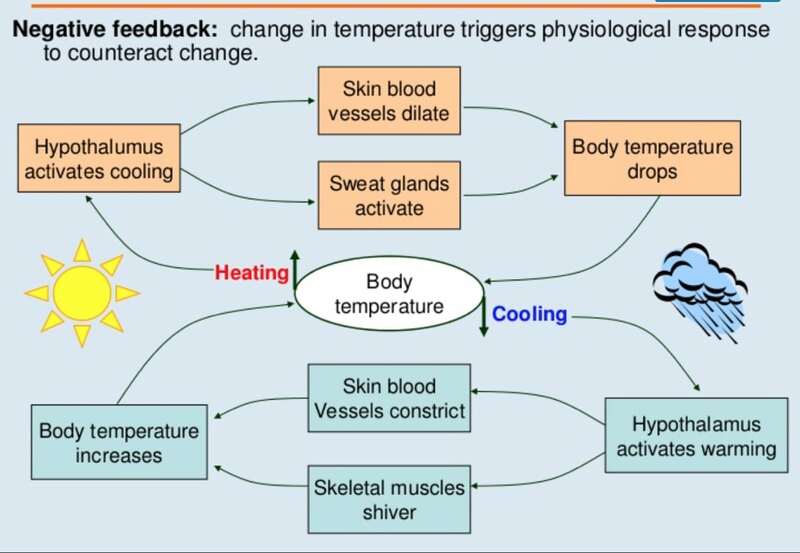 Thermoregulation and metabolic heat exchange in humans. Think of your hypothalamus as your brain’s thermostat. It gets the signals that say “I’m cold” or “I’m hot” and activates things like sweating or shivering to try and warm you up or cool you down.